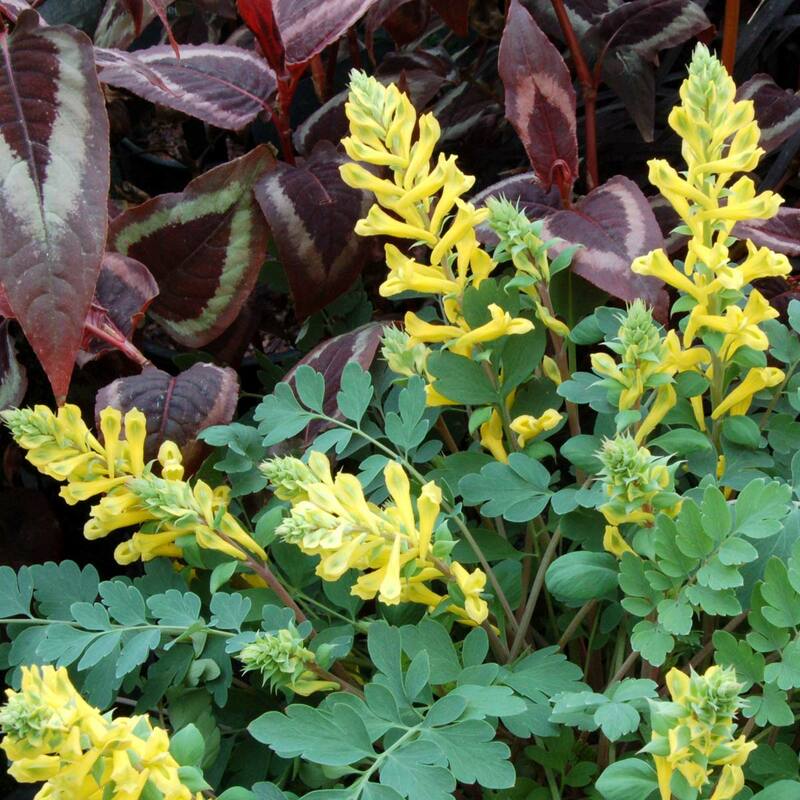 Corydalis ‘Canary Feathers’ | TERRA NOVA® Nurseries, Inc.
Talk about flower-power! 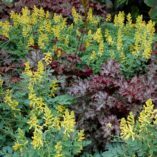 This, our showiest and most vigorous Corydalis introduced to date, is a blooming machine in foiled or unfoiled pots or in the garden. 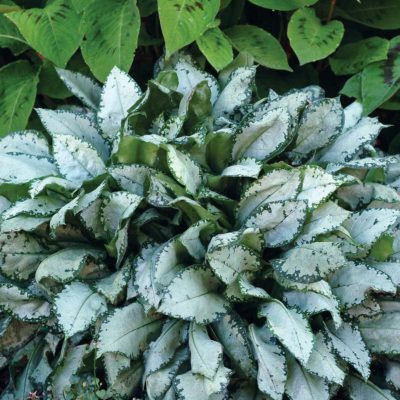 This hybrid is tolerant of partial sun and is a great highlight in shady spots where it combines well with our silver leaf Heuchera and Pulmonaria. 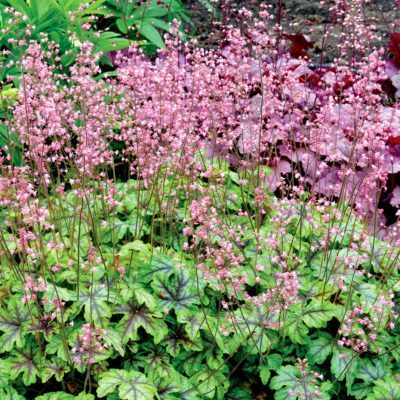 This fantastic container plant blooms so long that early frosts can cut its life short, so some protection may be needed. 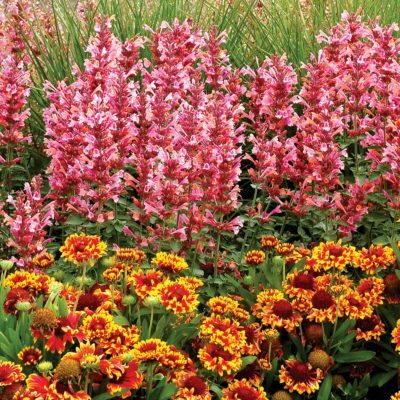 Prefers moist, well-drained soils. 9" / 12" / 12"
It has nice clusters of large, clear yellow flowers all summer over blue green leaves. It is shorter, showier, and more compact than C. lutea. 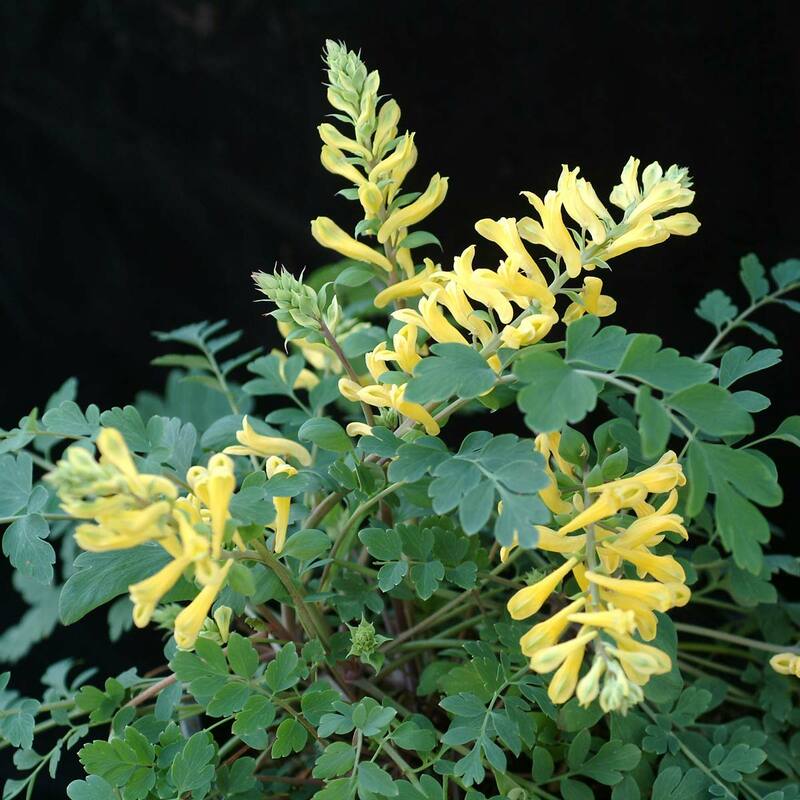 It is not an obnoxious seeder like C. lutea. 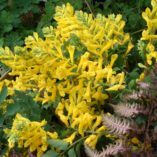 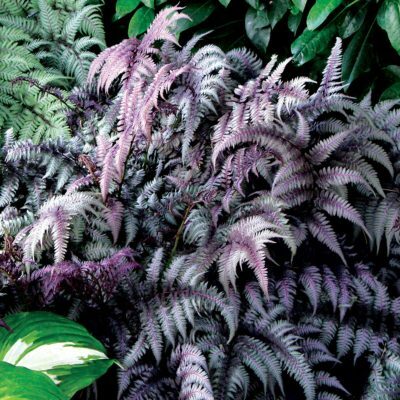 Use it in containers in part shade, as a forest understory, in woodland areas and under tall shrubs. This plant is a very long bloomer in the Pacific NW. Grew well and over wintered for Linda Guy at Carolina Nursery near Charleston, SC. 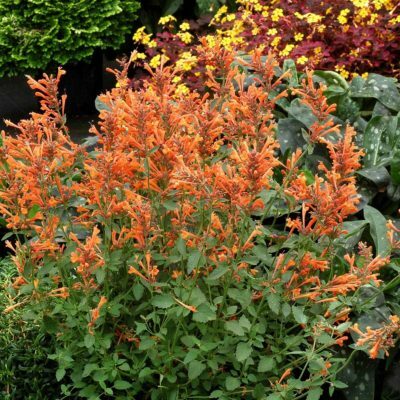 Over winters and grows well in Lake Heron area of Northern Ohio, zone 5. 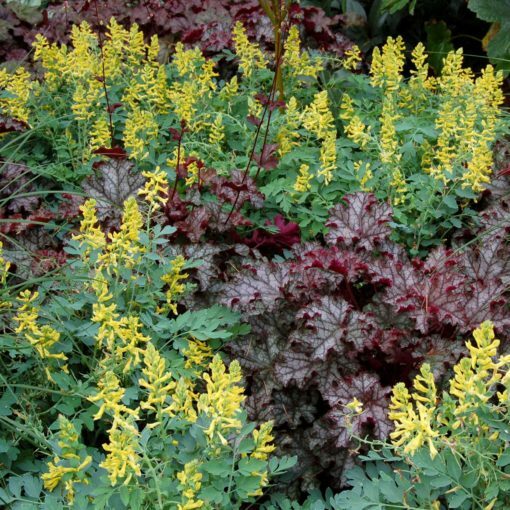 (Paul at Willoway Nursery) Recommend transplanting to a 4" pot from a 72 cell size, not a larger size container. 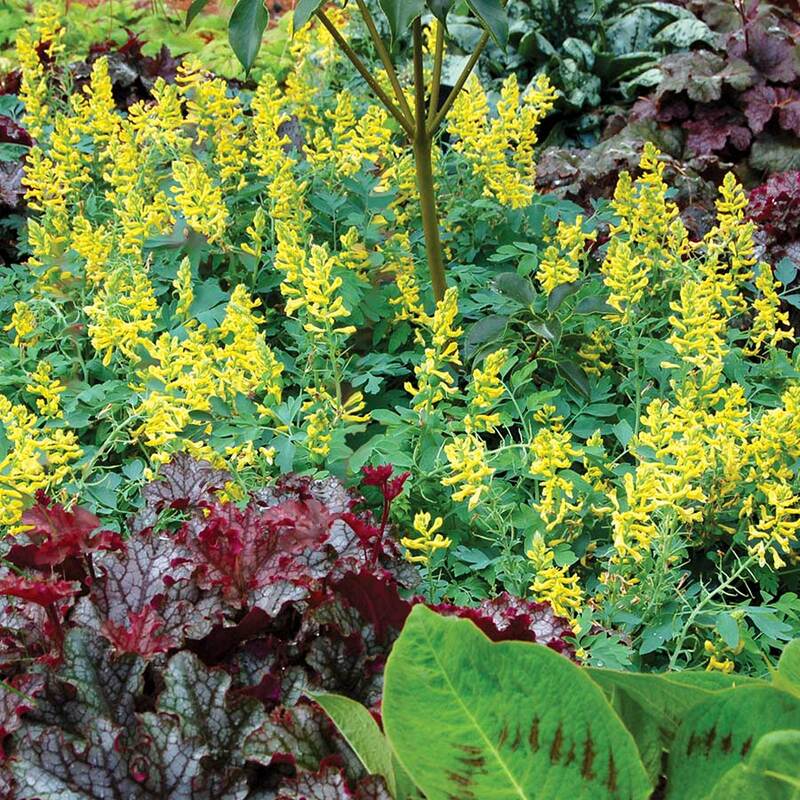 Seedlings don't come true.